The letters are not signed, but they said they are from Oak Ridge Police Department employees. One letter said it represented an “overwhelming majority” of ORPD members. Among other things, the letters raised concerns about harassment, a hostile work environment, hostility, retaliation, policy decisions, and turnover. The letters ask for Akagi’s removal or termination, and an investigation by the Tennessee Peace Officer Standards and Training Commission or some other “independent and unbiased agency.” They said conditions have not improved since the 2015 review by the Municipal Technical Advisory Service at the University of Tennessee and have gotten worse instead. In a text message from China on Thursday, Watson said many of the statements in the letters were found to be false, while others are being investigated. However, it wasn’t immediately clear which claims have been investigated and which have yet to be evaluated. “I will know more upon my return from out of the country,” Watson said. Akagi wasn’t immediately available for comment by phone Thursday evening. Oak Ridge Electric Director Jack Suggs is acting city manager while Watson is out of town. Suggs wasn’t immediately available for comment by email Thursday evening. Smith, the deputy chief, became acting chief on Thursday. “ORPD shifts are being advised of the situation,” Watson said. The 2015 MTAS report, which one letter this summer called “bogus,” said pay was cited most often as the reason for turnover and low morale in the Oak Ridge Police Department. But some officers have disputed whether that’s the primary issue in the ORPD, pointing instead to the chief. The primary person pressing for an investigation in 2015 was former Oak Ridge City Council member Trina Baughn. She and others had raised questions about the chief’s temperament, including whether he had outbursts and was vindictive, and what Baughn suggested was a high turnover rate. The City Council approved a six-month review of the ORPD that focused on morale, turnover, and administrative policies, hiring MTAS in March 2015. 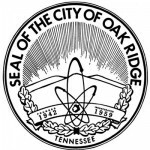 MTAS presented its findings in a 20-page report presented to the Oak Ridge City Council in a special work session in October of that year. educate employees on the city’s grievance policies and appeals processes. It wasn’t immediately clear Thursday night if all of those recommendations have been implemented. Before MTAS issued its report almost three years ago, there had been a divisive months-long debate that pitted those who supported the chief, even if they acknowledged that improvements could be made, against those who pushed for an aggressive investigation and sometimes called for the chief’s removal. There has been little public discussion since then, although a few officers have continued to share their concerns. The letters sent this year would appear to be the first coordinated public outreach since then. The letters were sent to city officials, other law enforcement officers, and local media on June 1, July 10, and July 12. The last letter, in particular, included specific information about specific employees.